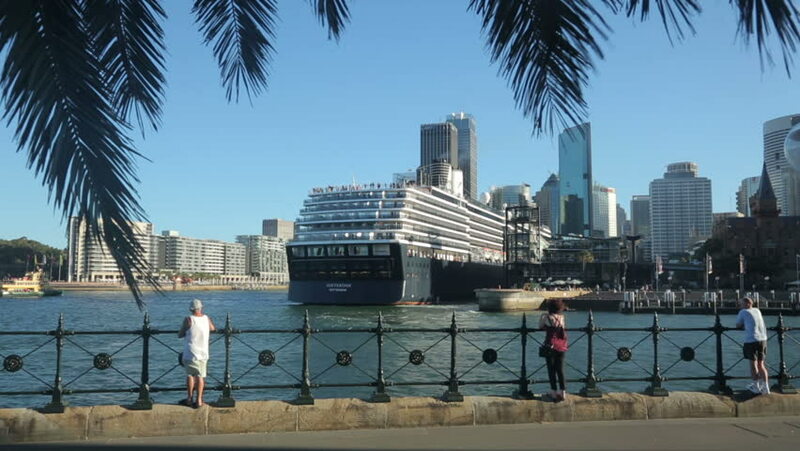 SYDNEY, AUSTRALIA - FEBRUARY 02, 2014: Unidentified people watch as Holland America Oosterdam cruise ship departs Circular quay after day stop. hd00:24Miami, FL - January, 2012: Stationary establishing shot of the Miami skyline from the water. Apartment buildings, hotels and freeways. Palm trees in foreground. Day. 4k00:14SINGAPORE - JANUARY 2016: sunny day light famous hotel rooftop pool panorama 4k circa january 2016 singapore. hd00:21 JACKSONVILLE, FLORIDA – January 19: Downtown Jacksonville on the St. John's River, January 19, 2014 in Jacksonville, Florida. The St. John's River is the longest river in the U.S. state of Florida. 4k00:16ORLANDO, FLORIDA - MAY 21st: Sculpture art of seagulls taking flight at Lake Eola Park in Orlando, Florida on May 21st, 2016. 4k00:12San Diego, United States - June, 2017: People walking in a park on Broadway, San Diego, California.